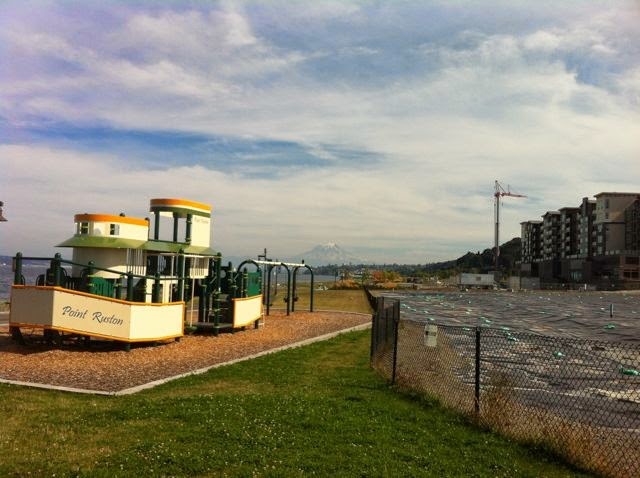 On August 9 our monthly ride will head to the waterfront for a 1.7 mile route to the Ruston Family Fair in the heart of the historic Ruston Business District. There will be many free activities for kids at the Fair including old fashioned games and wagon rides, a classic car show, and outdoor music. Something for everyone to see and do! 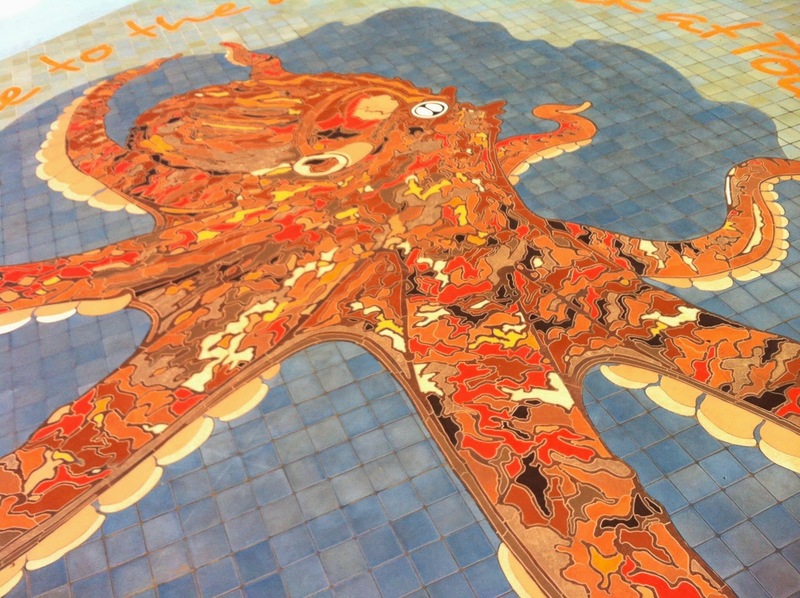 Let's meet-up at 10:30am near the Copperline Apartments (4760 Ruston Way), where the new Point Ruston trail starts with this Giant Octopus on the sidewalk. If you're driving to the start, there's a big gravel lot across the street (on the south side of Ruston Way) where you can park for the afternoon. 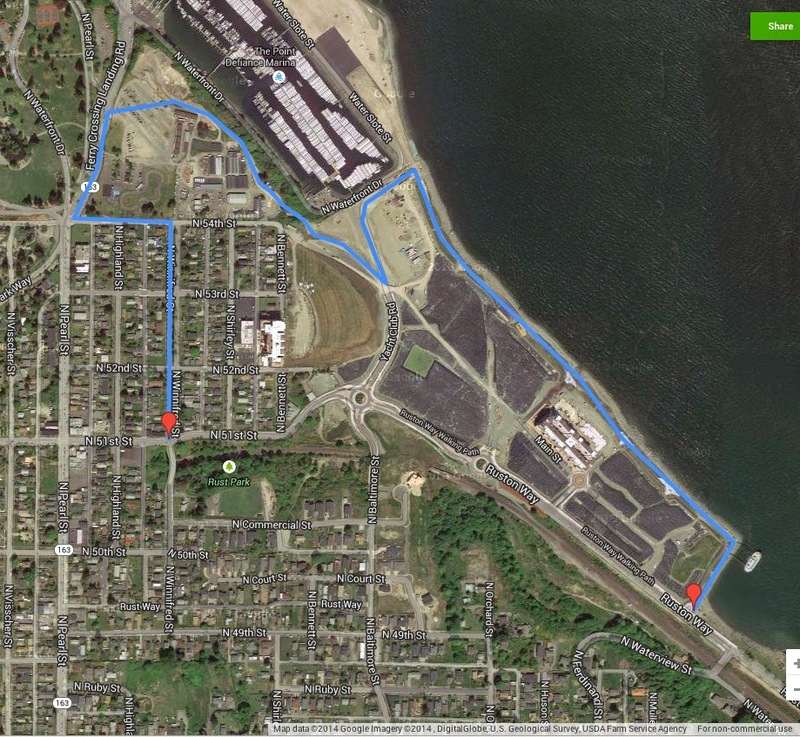 The ride will follow the waterfront trail north around Point Ruston towards the marina, then up the hillside towards the main entrance to Point Defiance Park. The hill section is a rather steep grade, but the paved trail is accessible to riders on nearly any size and type of bicycle, even training wheels and push bikes. We'll regroup at the top of the hill and ride together through the Ruston neighborhood to the Fair. As usual, our pal Jeff's Ice Cream will be along for the ride to hand out a free ice cream treat to all of our riders, courtesy of the Tacoma Wheelmen's Bicycle Club. If you're new to Kidical Mass, you can find out more about our free family bike rides here. Feel free to leave your questions in the comments below or email Matt at kidicalmasstacoma<at>gmail.com. P.S. The Underwater Music Festival is also happening on August 9, so don't be surprised if you see a ton of boats moored off-shore near Point Ruston.